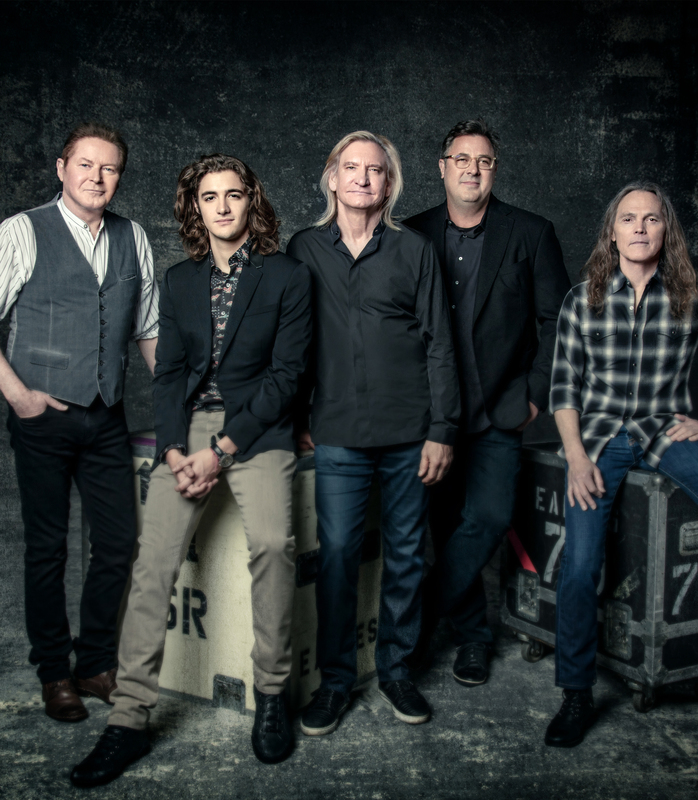 This is for those on the fence about the upcoming Eagles concert at Scottrade Center on March 18 because of the death of Glenn Frey. You know, the one’s who whine about “It’s not the full band” blah blah blah. Look, If you really cared about that you would have stopped listening to the band in 1975 when Bernie Leadon left. Lots of bands have lineup changes. Rush, The Beatles, Journey (No, Steve Perry was not the original lead singer), Genesis, Pink Floyd, AC/DC, Iron Maiden and Metallica are just several that come to mind. But I bet you didn’t stop listening to them, did ya? Well, you should really think about going. Why? Because Glenn’s son Deacon Frey has taken his father’s place in the legendary band and sounds amazing. Deacon is 24 and looks and sounds a Hell of a lot like his dad in the Eagles’ heyday of the ’70’s. I, for one, am extremely interested in this show as I was able to catch their last show in 2013 with Glenn. Good tickets are still available and can be purchased at ticketmaster.com or at the Scottrade Center box office. Don’t pass this one up, I have a feeling you will regret it when you hear the reviews the next day, if they go like I think they are going to go. Not that I am passing judgement yet, I never do that. I just have that kind of feeling about this show. 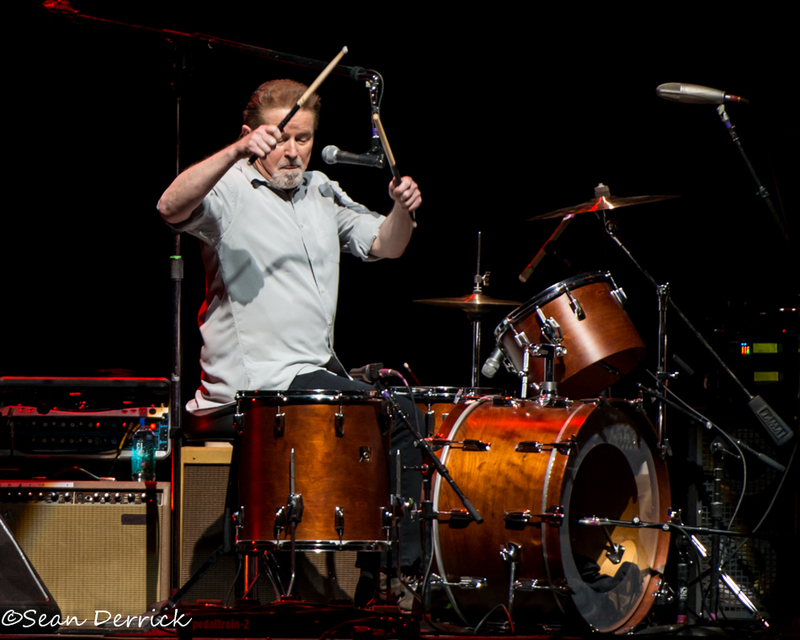 Don Henley performing with the Eagles in Saint Louis. Photo by Sean Derrick/Thyrd Eye Photography. 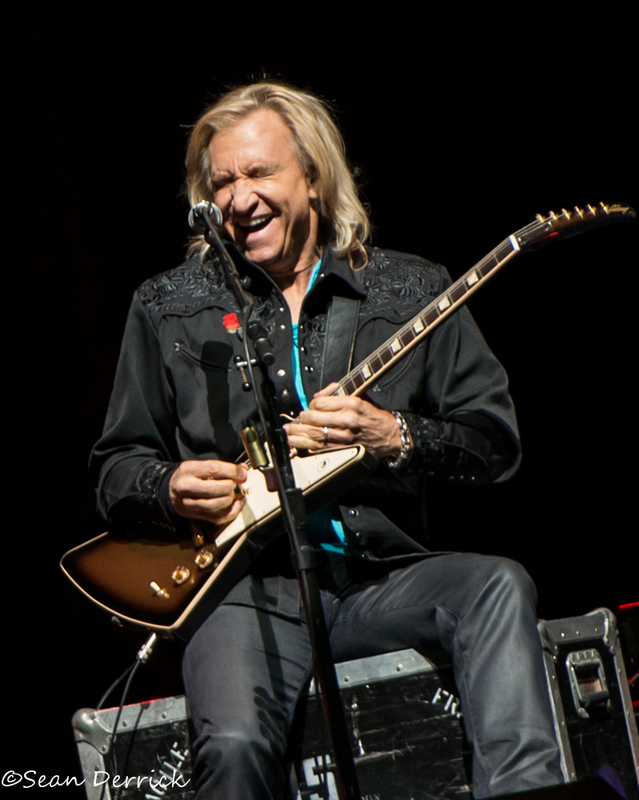 Joe Walsh performing with the Eagles in Saint Louis. Photo by Sean Derrick/Thyrd Eye Photography. 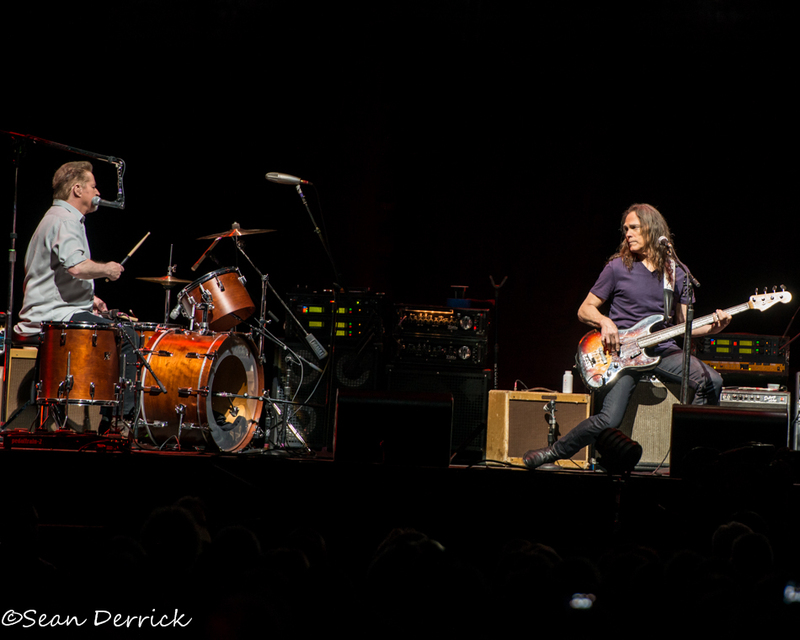 Don Henley and Timothy B. Schmit performing with the Eagles in Saint Louis. Photo by Sean Derrick/Thyrd Eye Photography.